The total number of customers, orders, and listings (products) successfully exported will be displayed on the Manage Integrations page. Also, the customers exported to Zoho can also be identified by the Zoho logo displayed on the listing page. The below sales order fields are exported to Zoho. Note: SO number in Zoho is their unique ID. 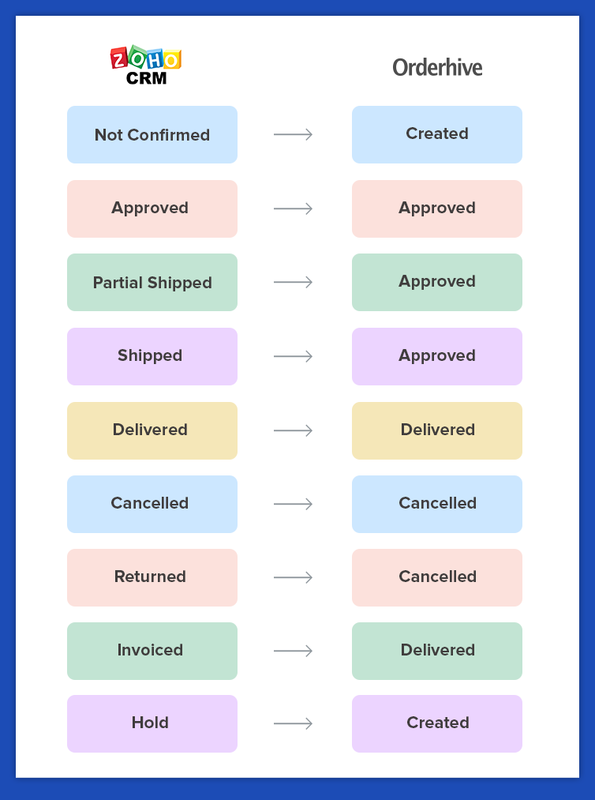 The below image shows the order status mapping from Orderhive to Zoho. 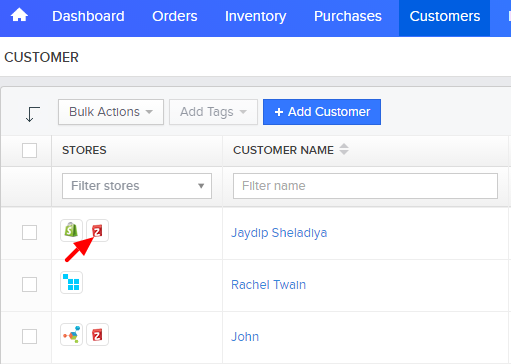 The sales order exported to Zoho can also be identified by the Zoho logo displayed on the listing page. Corresponding products of the sales orders will get exported to Zoho CRM under Products menu. The Available Stock of the product that gets exported to Zoho will be same at the time of syncing. 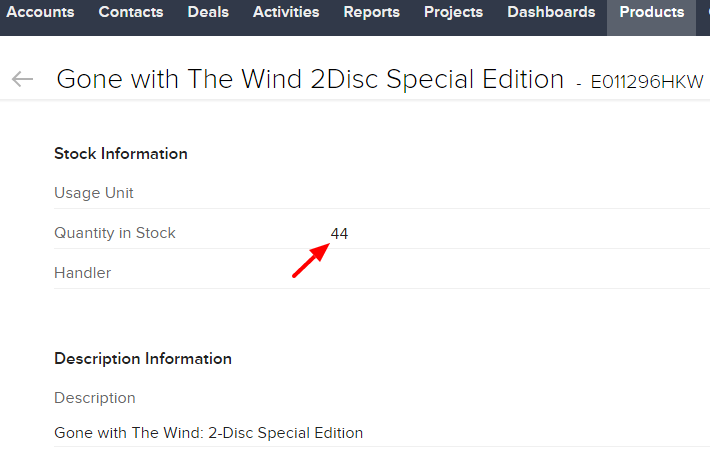 This will get updated under Quantity in Stock field in Zoho. New sales orders (corresponding products) and customers added after the initial integration will get exported to Zoho. Sync time to export data may take longer as Zoho uses API limits to throttle large volume of requests.